In Part 1 of our blog, Choosing the Right IP Phone, we discussed how to choose an IP phone based on end user features. This blog will focus on choosing an IP phone from the viewpoint of IT administrators and business managers. When IT administrators or business managers choose an IP phone for their organization, end user features are certainly a consideration in order to keep their staff happy and productive. Features such as conference calling, call forwarding etc. are significant to the selection process, ease of deployment, maintenance and end user control also hold a lot of weight. Since they are responsible for managing their business’ phone system, administrators are looking for IP phones which provide features the employees need, along with the dependability and ease of deployment. There are a few features to look for when thinking about easy deployment of IP phones within an organization. First, it is important to understand if your workforce is located remotely or all within the same office. If it is the latter, most vendors will support DHCP provisioning and/or PnP provisioning, which is very useful in tightly locked down networks. If staff is located remotely, a phone that supports redirection service is beneficial as it allows phones to be automatically provisioned as soon as they are plugged into an internet connection regardless of their location in the world. It is important to note the security mechanisms the manufacturer has in place, since many IP phone vendors simply rely on MAC address validation, which means hackers can pretend to be that phone and create toll fraud and cost your business a lot of money. Also, for remote installations, VPN support is a useful feature as it not only creates a level of security between the phone and the business phone system, but also simplifies the configuration for the administrator by keeping the audio and signaling routed together to/from the phone system. As businesses grow or consolidate, new employees arrive or change roles, resulting in the need for IP phone settings to be constantly updated. It is important that the chosen IP phone can be quickly provisioned from a central location so that the administrator can eliminate the requirement of traveling onsite. This is beneficial when adding new employees to a group or adding an entire department and groups of phones. Also, the ability to quickly validate phone settings and update firmware and security on a global and granular level is important as well. An IT administrator’s time is important, and the more time spent enabling and configuring features on behalf of an end user, the less resources are available to tend to other IT issues. Features such as call forwarding, follow me and conference bridges should be accessible by the end user. Business manager features like checking call queue stats, or changing time conditions, should not require IT support. Unless there are specific security policies in place, empowering the end user is the best approach to maximizing the productivity of phone system administrators as well and the end user. Will the IP phone integrate with the current UC features the phone system is providing or will it provide further advantages? Is the IP phone supported within the phone system’s central provisioning tool and support all the adjustable parameters available? Will the IP phone support end user devices such as wireless headsets or Bluetooth for mobile connectivity? For businesses using FreePBX and PBXact phone systems, Sangoma IP phones provide ALL the above-mentioned features, and more. For provisioning, Sangoma’s redirection service allows remote users to fully provision new phones simply by plugging them into the internet, without any IT assistance what-so-ever, other than having their extension setup within the phone system itself. And since each phone is factory imaged with a unique identification key, there is no worry about hackers taking advantage of your phone system. Built-in VPN also takes care of security and setup challenges. 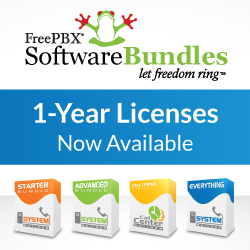 Since the s-Series phones are designed specifically for FreePBX and PBXact, there is 100% compatibility with the phone system, not to mention the added value of enhanced features they provide. IT and business managers can efficiently manage user’s phones, everything from pushing new firmware to re-configuring individual programmable buttons, centrally from the phone system and without ever needing to reboot the phones too. When deciding to purchase IP phones for your business, it is important to consider the right balance of end user features as well as those for the administrators of the phone system.